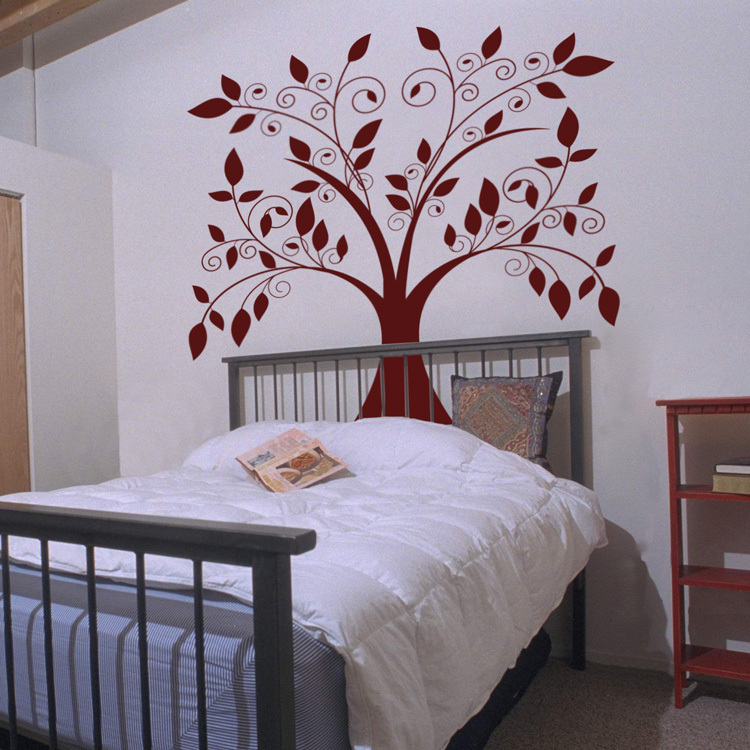 Our giant tree with falling leaves wall decal is one of our most popular tree decals! Shown here in in our LARGE size and in burgundy, this towering beauty measures approximately 70" wide x 62" tall. It is available in any size and color combination of your choice! The larger versions of this giant tree decal come in 2-3 pieces, as a decal this size is much easier to apply in sections. Once applied to the wall, the decal will appear virtually seamless! Note: the small version comes in 1 piece. This tree is available in other sizes, so please contact us if you need something different! I bought the Dandelion Blowing In The Wind (Extra Large) and I love it! I applied them and it looks fantastic. Exactly what I wanted. Nice quality. I will be purchasing more and recommending to friends. I really just wanted to let you all know that it was such a pleasure working with Robert Chadwick throughout my ordering process to finish. He was beyond help and pleasant. Can't wait to pick up my Canvas today after work. I absolutely LOVE Dalidecals.com!!!!! We purchased two seperate decals for my baby girl's room, and the came out beautiful. I also ordered a customized sample of the mosaic tiles that was very nice. Everything is very good quality and looks wonderful even a year and a half later!! The employees that I was in contact with were awesome as well. I just wish everyone had such good quality products and friendly, helpful customer service. A+++++ Company! Thank you!!!!! Your company rocks! One of your reps saved me money on shipping AFTER I ordered online, I have never seen a company do that. My niece loves her new room with the birds on a wire decals. Thanks so much, It is rare to find a company with such great customer service.